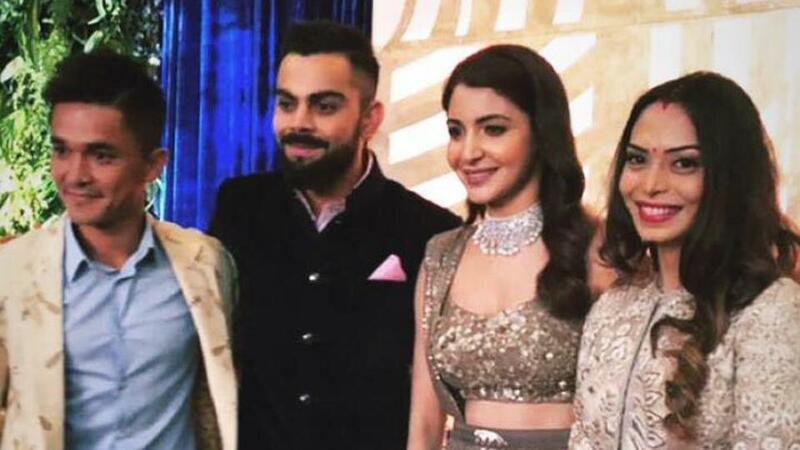 Sunil made a heart touching gesture expressing his good wishes for Virat Kohli's men. The Indian team is going to embark on a full tour of England this summer and it needs all the support that can come its way. The Virat Kohli led side will play 2 T20 Internationals in Dublin against Ireland before embracing the English shores for 3 T20Is, 3 ODIs, and 5 Tests and hence most prayers and good wishes are welcome. India has had two embarrassing Test tours to England - losing 4-0 in 2011 and 3-1 in 2014 - since Rahul Dravid's men made the country proud by winning the series in 2007 by a margin of 1-0 but Virat Kohli is confident that the young team under him has what it takes to win there. Before the Test series, though, is the limited overs cricket. India has enjoyed recent success in white-ball cricket in England, as they won the Champions Trophy in 2013, alongside winning the last ODI series here before reaching the final of Champions Trophy's 2017 edition. Before departing for the stern challenge, Virat said on Friday, 22nd June, that, "After what happened in South Africa, we are actually looking forward to some tough cricket, When we were playing the Test series in South Africa and lost the first two matches, people thought we were outplayed. Then we won the third Test and won the two series after that. Then they realised how well we played. We are looking forward to going to other countries and playing well. 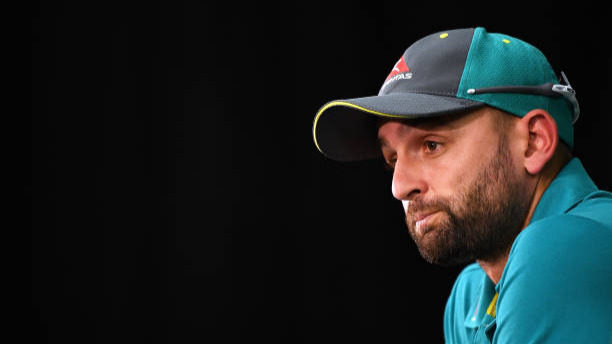 We are looking forward to playing difficult cricket,"
The Indian Captain is quite upbeat about it all and has many well-wishers for it and wishes are coming from the unexpected corners as well. Sunil Chhetri, India's Football Captain and a genuine lover of sport, hopes for Indian team's successful 2 and a half month campaign there. He made a delightful gesture on Saturday, 23rd June, expressing his immense love for Virat Kohli's men. 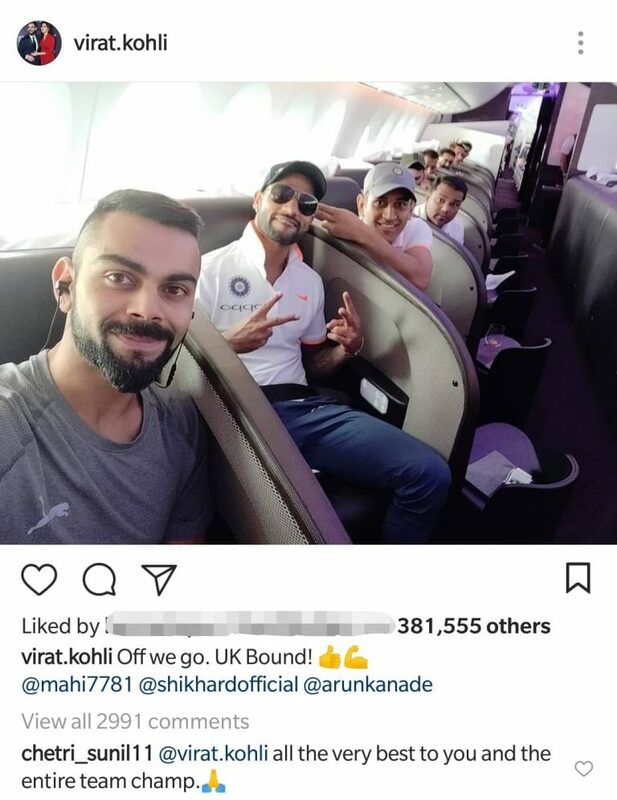 Virat, who took the social media network Instagram, to post a picture of him departing with the rest of the players to England, got a reply from Sunil Chhetri that won hearts.